As important as emails are to our daily lives, it does become quite a bit overwhelming. Take a look at your email inbox and think about how many unread emails you have… then take a look at your spam folder. I’m sure the numbers are astronomical! How and when did email ever get so stressful and time-consuming? As stressful or as messy your email inbox might be, there are still random emails in there that grab your attention, make you open them and sometimes… even take action! So, what is the difference between the emails you take action on, and those that simply sit there unopened for weeks? In most cases, it’s the email title. The title of your emails is one of the most important factors when finding success with email marketing, however, it’s not the only thing you should be focusing on. Today we are going to take a look at the many different aspects of email marketing and why some methods work, while others work much better. 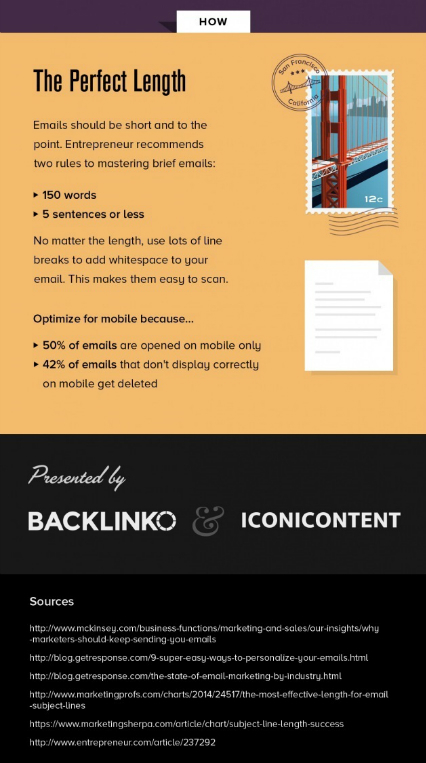 Special thanks to Backlinko.com and IconiContent for their infographic below — which the basis for our content today. With over 205.6 billion emails be sent around the world daily, it makes perfect sense why our inboxes are such a mess. That number comes out to 88 emails for every man, woman, and child on Earth… just for one day! To throw another email marketing statistic at you, it was reported that 40% of adults “never read” marketing emails. That’s a massive number when you look at the size of your mailing list, then nearly cut it in half. Of the nearly 80% of US adults who receive an unnecessary amount of emails, here’s how the numbers break down. On the flip side, even with these horrible performance numbers, email marketing is still king. 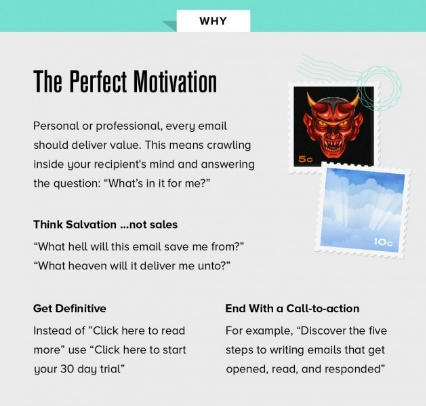 For every $1 spent on email, and average of $38 is produced in revenue. That’s nearly three times higher than the average purchase rate of advertising through social media. This means your average email list subscriber is 40 times more powerful than Facebook and Twitter combined. With all of these numbers in mind, let’s continue to take a look at some of the most effective ways to create better emails for your audience, while also increasing your overall ROI. When looking at your email list, do you know the names of each subscriber and where they originally signed up from? 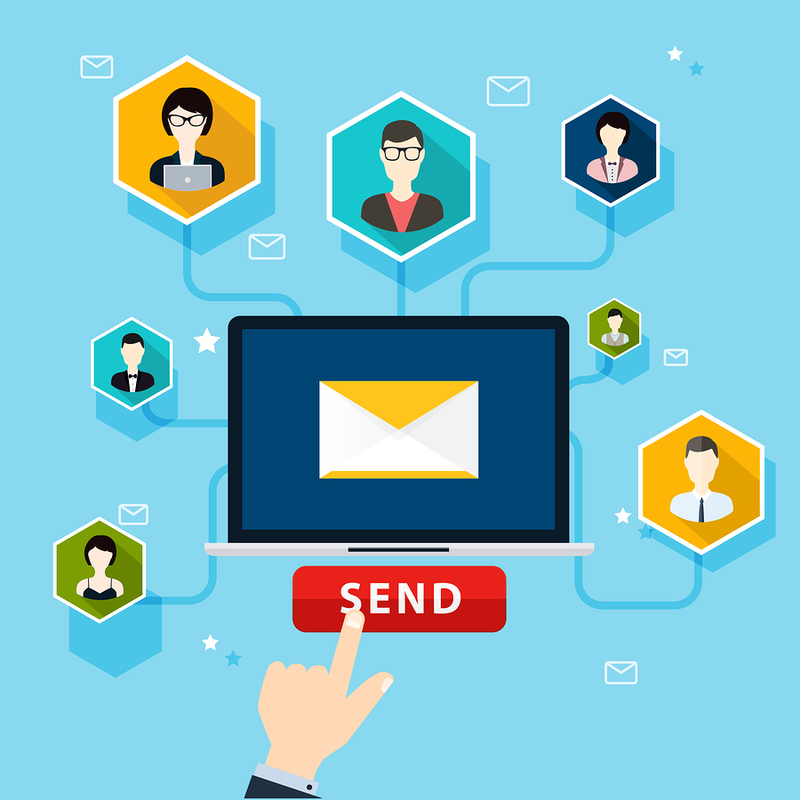 Knowing your audience is key to maximizing the performance of your mailings. GetResponse reported that emails with personalized subject lines have 26% higher open rates, versus regular emails with a basic title. Emails with personalization also result in 30% higher CTRs. 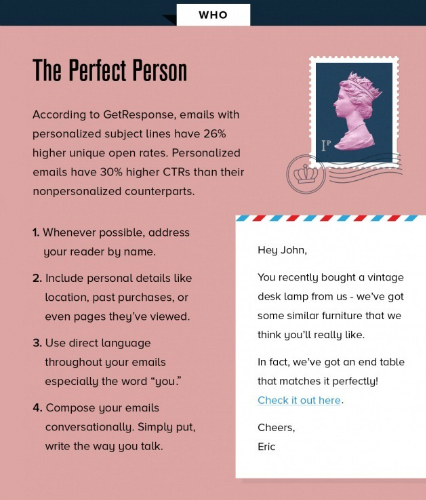 Here’s a quick 4-point list for improving your email with personalization. What does your email look like? Did you ever open up an email in your inbox, only to find it was messy, had horrible structure and the font sizes were all different? If so, this was likely because the sender rushed through the process and didn’t preview the email before sending it out. In addition to making sure your email is visually pleasing, the focus of your email should be on one common goal/action/request. Here are three more methods for improving the visual performance of your emails. SUBJECT – Use a subject line that grabs the interest of your audience, without being too click-baity and leaving the user unhappy. Stil with 6-10 words in your subject. SENDER – When someone replies to your mailing, where is that email going? Don’t hide behind a fake email address or sender account. People want engagement and support. STARTER – The first line of your email is extremely important. Don’t let text placement like “view this email in HTML” to kill your conversions and user focus. Are you keeping your readers motivated? No matter what you are sending emails out to a list for, you need to make sure you are providing value at all times. Every time you send out a mailing that seems like spam or just way for you to make money, you instantly lose credibility and subscribers to your list. Construct your emails to help the end user. No one wants to have their time wasted or felt like they are being taken advantage of. Stay away from phrases like “Click here to read more”. Use call-to-action words to increase engagement. Sticking with the concept of call to actions, make sure there is a big one at the end of your email. When are you sending mailings to your list? It’s not just about the title and content of your email that matters, it’s also an issue of when you are sending out to your list. For the most part, people are checking their emails while they are at work… so that is when you want to be sending them out. 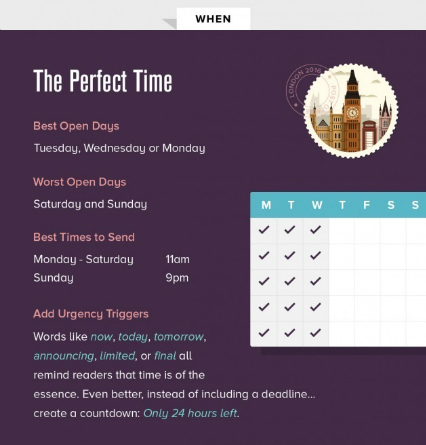 What is the perfect length for your email? Before sending a mailing out to your list, one of the biggest questions is if your email length is good. This is something we commonly ask in our email marketing expert series. 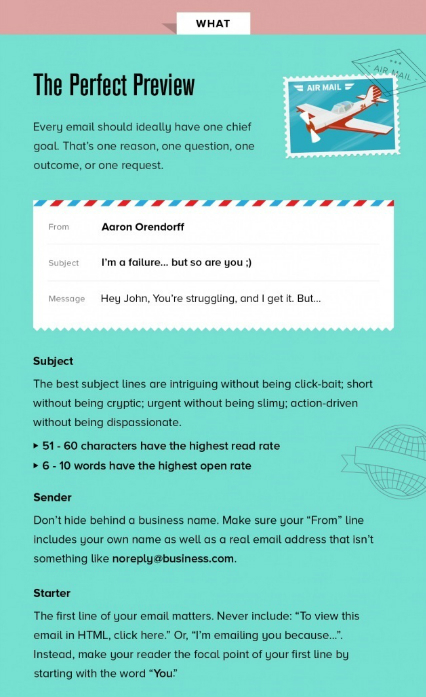 Most people like shorter emails, but the correct answer is “as long as it needs to be”. If you want to continually see the best results with your email, then you are going to need to implement each of the tips above. The headline/title of your emails are going to play a huge role in this process, but making sure all of your bases convered for any improvement is key. In short… it’s all a numbers game. If you have 100,000 people on your mailing list and can increase your open rate by just 1%, that is an additional 1,000 people who will be opening and reading your email. To learn more about AfterOffers.com and how we can help growing your mailing list through confirmed opt-in subscribers. Contact us today.